Tucson, AZ, WPH Press, 8/9/15-Junior WPH completed its third summer of junior handball coaching at the Tucson Racquet Club All Sports Camp, coaching 25 junior handball lessons per week for more than 600 kids between the ages of 7-16 throughout the 10-week summer camp. After teaching handball as a bonus class in 2013, handball is now recognized as one of the mandatory sports at one of Arizona’s most highly rated summer camps. Junior WPH coaches place the emphasis on having fun throughout the summer handball lessons, with the younger groups focusing on team games to improve hand-eye coordination and to develop a sense of the court, while the older campers advance to handball drills and point-play. Junior WPH is proud to announce the junior handball fall session at the Tucson Racquet Club starting on Thursday, August 27th. Coach Cleveland will lead the group of experienced and new players on a team that featured five players competing in the 2014 USHA Junior Four Wall Nationals last December. 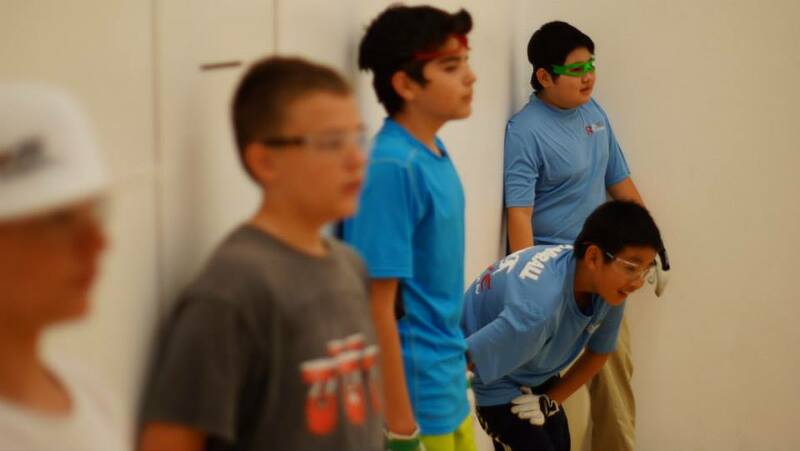 Junior WPH’s next junior handball tournament takes place on Saturday, August 15th, pitting Junior WPH Juarez against Tucson’s Fred Lewis Foundation in an exciting Ryder Cup style junior handball team competition dubbed the Battle of the Border. In the pro singles showdown, Junior WPH Juarez will be represented by Race 4 Eight Rookie of the Year Daniel Cordova, while the Fred Lewis Foundation will be represented by their head coach and top 20 WPH R48 pro Abraham Montijo in a match that will count towards the overall standings. For more information on upcoming WPH junior initiatives and how you can become a part of helping the World Players of Handball grow the game, please visit wphlive.tv, juniorhandball.org or contact David Fink at Fink@juniorhandball.org.